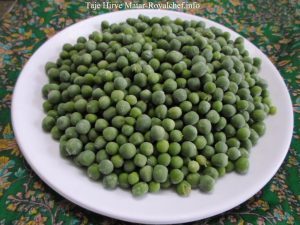 This is a simple Recipe for preparing at home tasty and delicious Maharashtrian Style Fresh Green Peas or Tajya Hirvya Matarcha Bhat-Pulao. 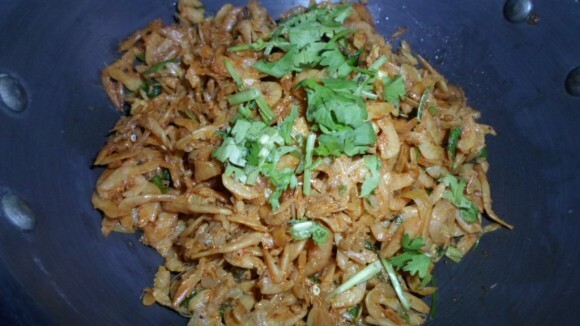 This is wholesome and filling main course rice dish, which is also suitable for any kind of party. Wash the Rice and keep it aside for 60 minutes. Grind the Clove, Green Cardamom and Cinnamon. 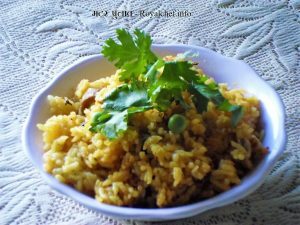 Heat the Ghee in a Pressure Cooker and add the Caraway Seeds, Pepper Corn, Bay Leaves, Onion, Green Peas and saute for minutes. And then add the washed Rice and saute for 2-3 minutes. When the Pressure Cooker cools down then remove the lid and serve hot.